For the last two years I‘ve been working on longer pieces – putting the finishing touches to Empires of Clay and Echolocation, collaborating on the poems for the Altofts commission and the first incarnation of Corseted. More recently, I have completed another edit of my second novel. As a result I’ve written very few individual poems and sent off even fewer to competitions and magazines. But I have made time to submit to a few anthologies (although not as many as I would have liked – Beautiful Dragons, I miss you). 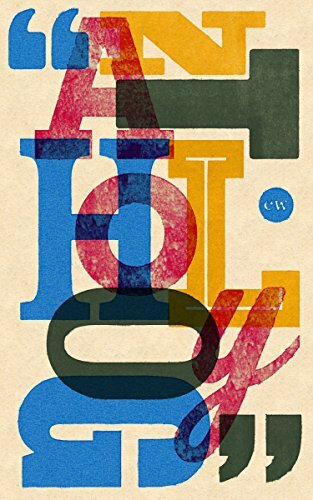 The word anthology comes from the Greek ‘anthos’ – flower and ‘logia’ – collection. To have a poem considered worth collecting is an honour but, although a flower has its own beauty, it is far more spectacular when part of a bouquet. Readers of poetry collections know this. The difference is that while the poems within a collection are plucked from one bed, those in an anthology are gathered from many gardens, creating a scope far wider than one author would have been able to offer on a particular subject. This is not to say I prefer anthologies to collections; there is a depth to collections that we can lose (or find) ourselves in. But this blog is about celebrating the anthology. It is the editors that have the eye to bring together these varying creations into one place and to make them something bigger than they would have been alone. They do the hard work of collating and discarding and selecting, of finding the right order for what has been submitted – apt that the first morpheme of the Greek word ‘logos’, meaning logic, is contained within the word anthology. Of course, as an author, there is a thrill whenever a piece is published and holding your own book in your hand is an immeasurably precious thing. You know what you’ve conquered to make each line, each word work, how many edits it has taken to get each piece right, the failures when your experiments come to nothing or when nobody reviews your book. You know how you’ve dealt with the rejections, what it has taken to keep surfacing despite the multifarious sorrows and hardships we deal with every day, despite having to earn a living when more and more is asked of you for less and the cost of food and bills rises and rises and rises. I do know what a privileged position I am now in but my tongue is not entirely in my cheek when I say sometimes it feels almost Herculean to be an author AND fulfil life’s other roles. Yet to be anthologised has nothing to do with the individual or with the writing ego; instead it is about a collective consciousness. It is an equaliser. Of course you know if your work is published beside Carol Anne Duffy or Hollie McNish it may be passed over. But, within the anthology, yours is still a welcome voice; a part of the choir. And we all know the power of the choir to lift our spirits, how transportational harmonies can be. 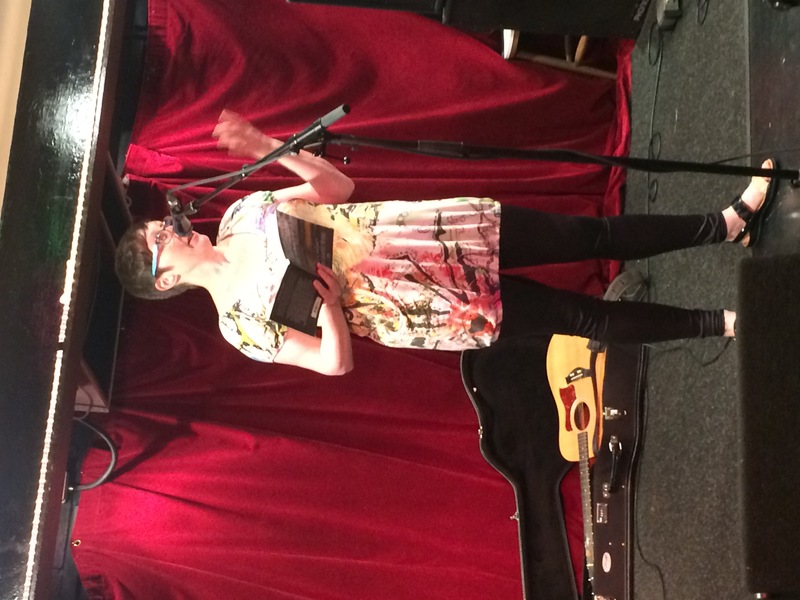 Photograph by Carolyn Jess Cooke at launch of Writing Motherhood: A Creative Anthology. This is true for the singers as well as the listeners. 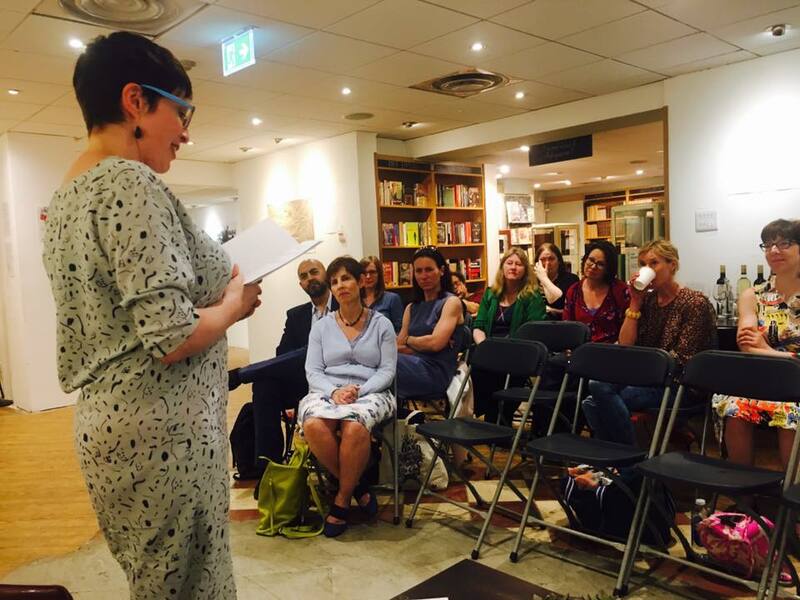 I first registered this in June at the launch of Writing Motherhood: A Creative Anthology published by Seren and compiled by the multi-talented Carolyn Jess-Cooke. Listening to the other writers with their fascinating different takes on the subject, the power of the anthology and the nurturing atmosphere in the room were visceral for me. Comments made by other authors and the lovely Amy Wack echoed my sentiments. We felt nourished, mothered. I hope other readers of the book will feel the same. Speaking of nourishment, some of my vignettes and two poems were recently published alongside fellow graduates of the Yorkshire Art Circus’s (YAC) Writer Development Programme in Anthology: A Circa Works Collection. Those of us on the programme over a decade ago were ‘new writers’ in it together, trying to hone our craft and obtain publication with the support of a small but dedicated team. With masterclasses, one-to-one mentoring and critical feedback sessions, many on the course felt it was more useful than the MAs they had gathered in Creative Writing, although arguably with less kudos in the publishing world. Then the wonderful YAC was stripped of its funding and shut down. The Anthology is one of several fires that sprang from the ashes of the Writer Development Programme. (Most people who were on the programme are still writing, many are published or performed, some very successfully.) James Garside and N.J. Ramsden have been the editors and the driving force of the project with accounting from Liz McPherson and moral, admin and proof-reading support from me. As you’ll see if you buy a copy, we write in different forms and from different perspectives. What holds us together is our identity as writers and our shared past at YAC. Watch this blog for updates on Circa Works. 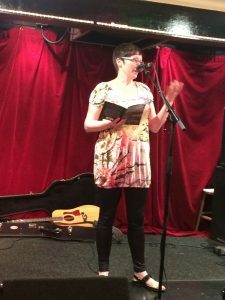 As a through and through Yorkshire lass, I’m also delighted to have a poem featured in The Valley Press Anthology of Yorkshire Poetry, edited by Oz Hardwick and Miles Salter. Each poem in the book is firmly rooted in the region but the poems within are as varied as the Yorkshire landscape. We had a launch in York last week and there will be another in Scarborough on 26th August. Do pop along if you can. I recommend sticking your nose in one of the above book-bouquets (sorry). If you do, please consider leaving a review. Those hard-working editors and publishers deserve it.